so they can expand to their full size. Plant seeds directly in the garden or start in flats in the fall and periodically throughout the winter until mid-February in Florida. Plant seeds or plants at 6 to 8 inches apart so they have enough room to develop. If too many seeds come up together, transplant them early so they get a good start. Amend soil well with compost and composted manure for the best growth. Planting locations should be in full sun or slight shade with more shade for the later plantings. Mulch around stems with pine needles to keep weeds at bay and to hold in moisture. Irrigate regularly, but deeply. 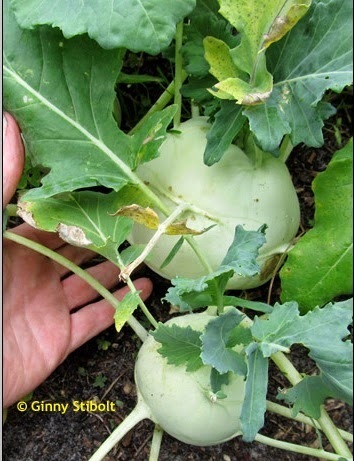 Cut the stem-bulb when it's two to three inches in diameter. Larger bulbs become tough and woody and definitely harvest before hot weather arrives. There may be some regrowth after harvesting, but usually only the leaves. garnished with grated Parmesan cheese. 1) cook it like a turnip and all its ways (roasted, mashed, or in a soup), especially if it's 5 inches in diameter or larger. 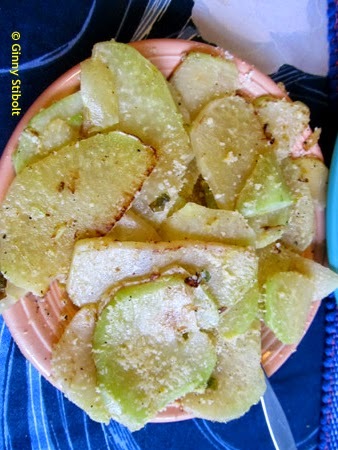 2) grate the enlarged stem and use them in salads or instead of zucchini in breads. 3) cut the stem into sticks and use them as dipping vegetables. 4) use the leaves as you'd use any of the leafy cole crops including veggie chips, added raw to salads or cole slaw, chopped in soups, or mixed in with a mess of cooked greens. 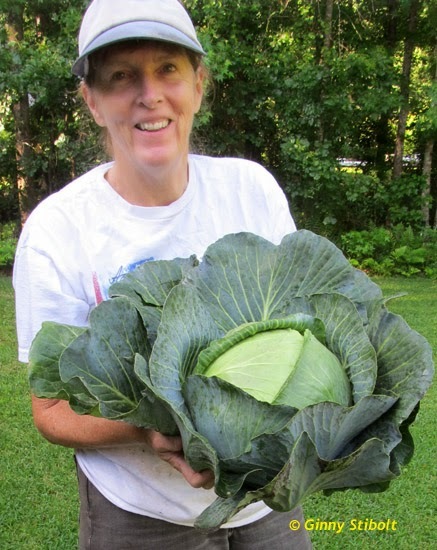 All the cole crops are the same species: Brassica oleracea. 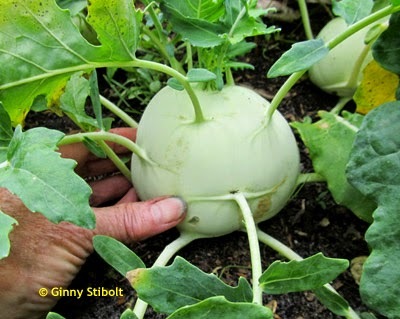 Consider planting this interesting cole vegetable in your cool-weather edible garden next year.